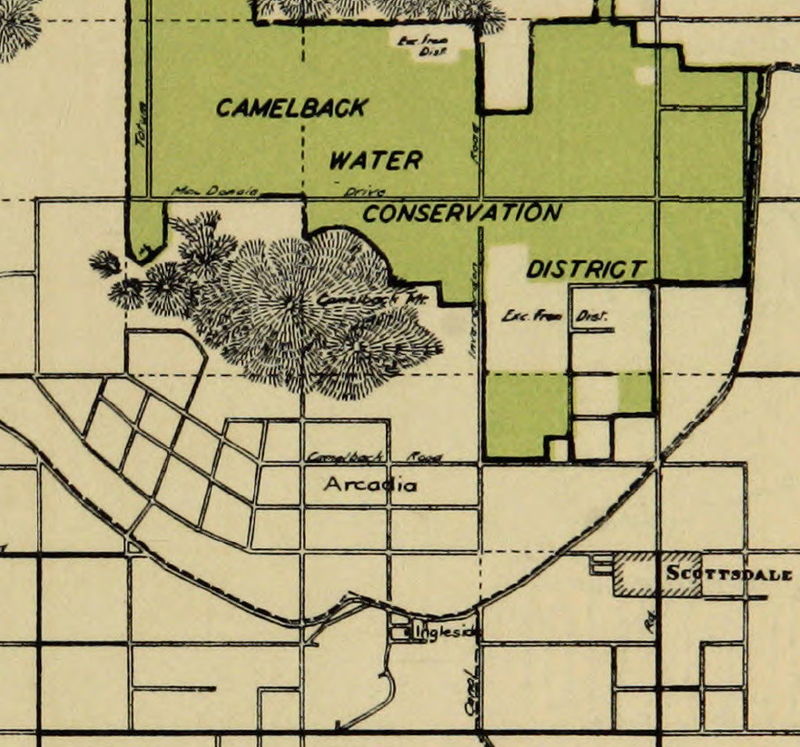 If you've lived in the Phoenix, Arizona area, chances are you're familiar with Arcadia, which is a very pricey neighborhood between Camelback Mountain and the Arizona Canal. For many generations it's been big, beautiful mansions and lush landscaping, and before that there were miles and miles of citrus groves. 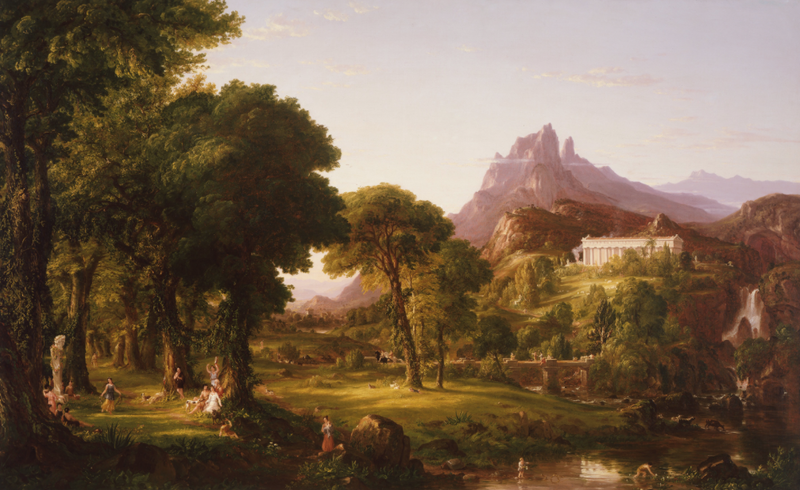 So, using an idyllic term like "Arcadia" (that's Thomas Cole's 1838 painting "Dream of Arcadia" at the top of this post) just seems to make sense. But really, you have to look at it from a Real Estate agent's point of view. Getting people to invest in land that's miles away from the city limits, and that faces south in one of the hottest climates in the United States, takes some sales skill. Naming the area Arcadia painted a idyllic picture that took a while to live up to the name. 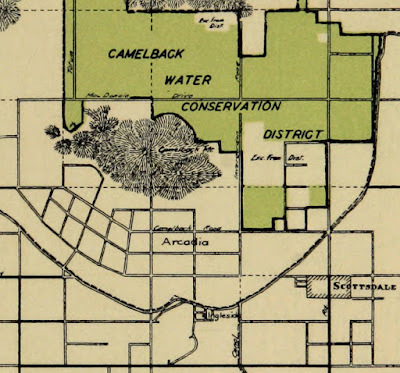 In fact, it was kind of like naming the area north of Camelback Mountain "Paradise Valley", which they did when it was nothing but dirt and cactus. Ever since I was a kid, I've had a particular fascination with how things are named. Many times things are named with a lot of optimism, and it works out. "Phoenix" was one of those names, and so was "Arcadia". The people who named them must have been "unrealistically optimistic" at the time, but time has proven them right.